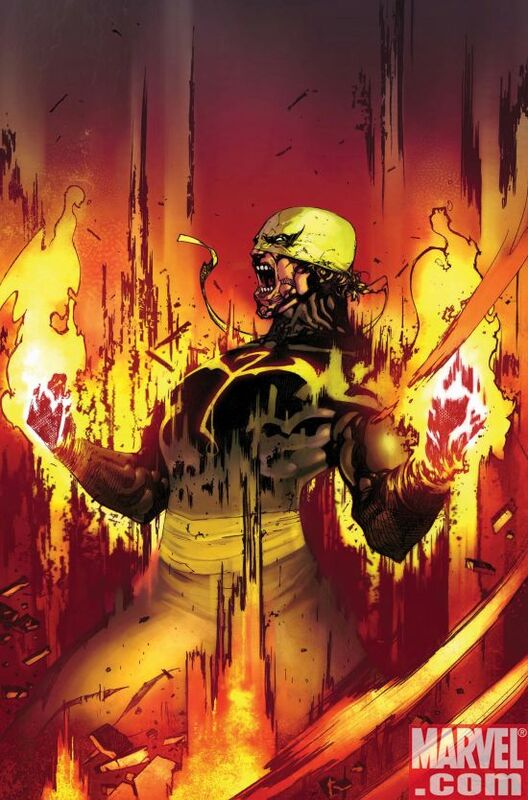 So I just finished Marvel's Iron Fist and the last few episodes made it all definitely worth it and were pretty cool, especially his power in the building scene. But I still wish they'd open him up more. I think they may be playing it a little safe, and since this is a character that not many people have heard of, it's better to make him a little more like he is in the books because if not, you run the risk of making him look like just another Hollywood Kung Fu show, and that's much worse. I think they do have a good thing going with the lighting, but they need impactful scenes like this to send the message of his abilities to viewers. Plus, he really needs his suit. 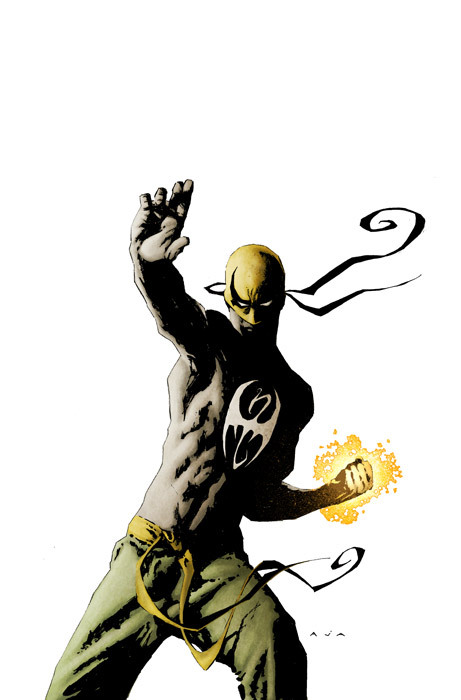 That's why I'm opening up with all these images of the Iron Fist. 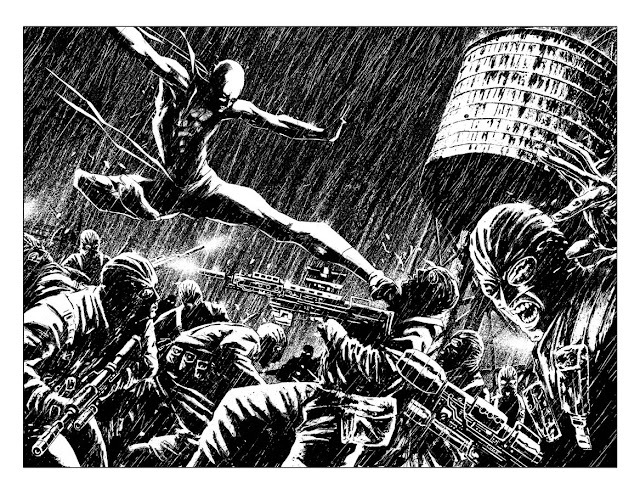 If they can manage to sneak in some visuals like this instead of keeping things so toned down, they might capitalize on potential fans much like those that are already fans of his comics. Jae Lee to enhance the effects. glow just a tad more like fire! Either way, just give us something cool to look at while he's going to town! 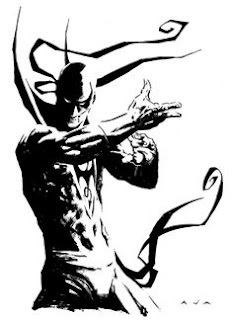 If you've never played Marvel Ultimate Alliance 2, he has some abilities in there, basically taken from the comics but that's the only place I can think of for an example that shows what his regular punches and such look like in motion. Well, there's some animated appearances, but I haven't seen those yet. Anyhow, my point is that when he punches, it should look almost like a light show made of shadows and whoever is on the receiving end of that should at the least get embedded in a wall. It'd be cool to see them step this up in the second season. 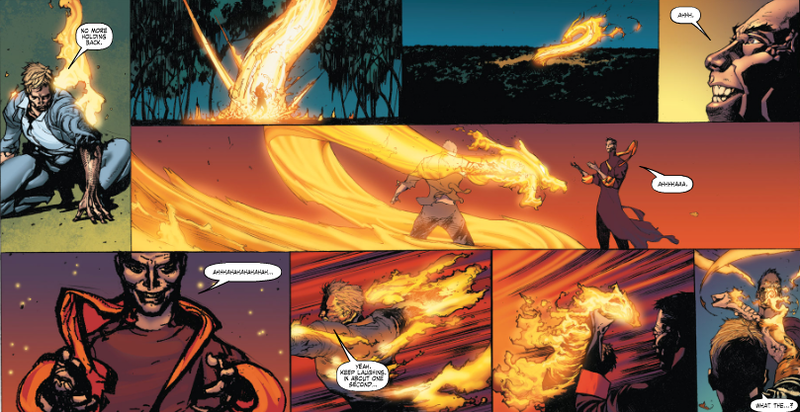 An example of the Iron Fist abilities being unleashed. As for the dialogue and overall writing, Ward is by far my favorite of the explored characters. Whoever is either in charge of his portions of the writing, or maybe it was an accident, literally developed him quite nicely over the series of episodes. Well done there! Iron Fist himself is pretty well done, given the fact that he would've been in seclusion away from society for so many years surrounded by monks. His punches, to me at least, should almost be an attempt to contain rather than scrounge out of himself. His ability to detect someone's lying wouldn't be the best, and his need to tell the truth at the wrong moment would indeed be as vital to him as breathing almost. But I wish they would have explored it or panned it out with less straight-forward scenes. There were some scenes, like the woman that asked for his help as he was being filmed, that I'm totally okay with because in his naive position, that would actually happen, especially because his intentions are coming from the soul. Overall, I thought they did a pretty decent job, no matter how CW a couple of the scenes were. So for season two, I'd really, really like to see them give his character more of a clever feel for things. And they certainly will explore Davos' vengeful side. That'll be cool to see. But they both need suits! Visually cool suits, already. 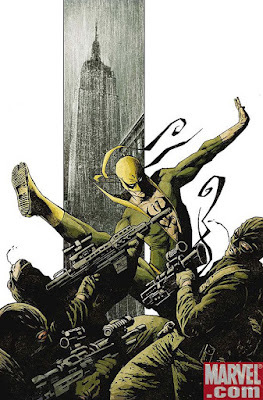 The Iron Fist vs Steel Serpent looks like it's going to happen! 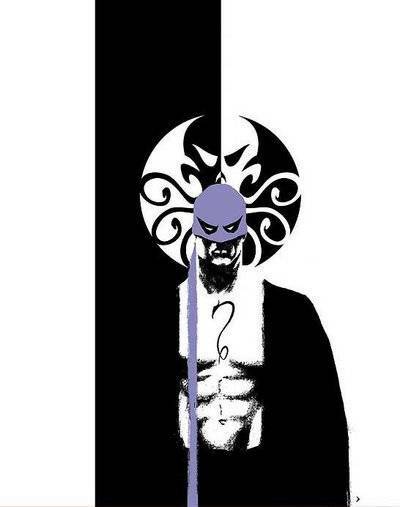 On to season two, and come on, Marvel, let's step it up because I don't know if not getting into the depths of things will work at that pace for a second season.